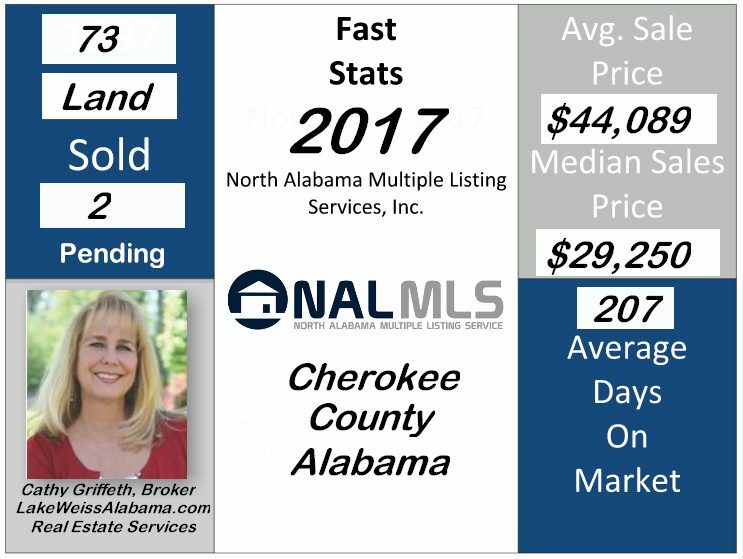 How did land and lots fair during 2017 in Cherokee County? Below you will find a report that details the sales numbers for each category. What needs to be understood about land is that unless you have a long term plan for it's use or an immediate short term use, vacant land (and I'm talking specifically about Cherokee County, Alabama) doesn't seem to have the same appeal as an "investment" as it did prior to 2007. The building boom associated with Weiss Lake ended years ago and, while we do have buyers still wanting to build around the lake, land is basically loosing it's investment appeal in the market place. Hunting land and land suitable for row crops are among the top two categories of interest, but land sales in general is a tad slow. I remember growing-up the underlying logic about investing in real estate was that you should buy land because "they are not making any more of it". 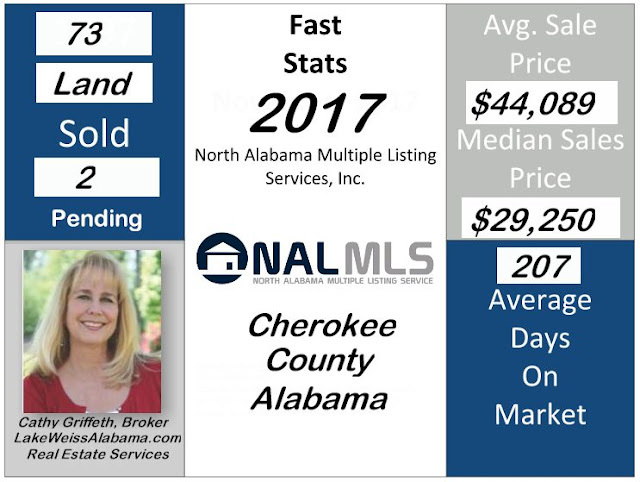 Last time I visited my daughter in Atlanta I could see that the logic was in fact sound advice, land is in fact scarce in Atlanta and I am sure in other metropolitan areas as well, but the market we find ourselves in is Cherokee County. I recently attended a land auction where the lots that were being sold were waterfront lots 1-5 acres. The lots were being sold by family members who inherited the land and the lake lots were part of the estate. These lots were previously marketed for sale for $75,000 and later reduced to $59,000. By any standard the lots should have sold at the market price, but years of trying to sell in the open market did not produce the intended results. Just before the auction, the auctioneer announced that the outcome of the auction would determine the future value of land sales in Cherokee County. The majority of the lots sold for about $13,500 each, a couple for $25,000. These lots were valued for tax purposes between $30,000 and $60,000. Did this sale set the tone for future sales of lake lots around Weiss Lake? Let's hope not, but we will have to wait and see what 2018 brings. While past sales are not an indication of future sales, they do give us a snapshot how the market is reacting to land so we can make plans for the future. While slow, the market for land is far from being dead.